On Sunday, Egypt's Antiquities Ministry said that the statue of the mythical creature with a human head and a lion's body was uncovered in the Temple of Kom Ombo. The statue most likely dates back to the Ptolemaic era. The Ptolemaic dynasty was a Macedonian Greek royal family that ruled the Ptolemaic Kingdom in Egypt from 305 to 30 BC. ​According to Mostafa Waziri, secretary-general of the Supreme Council of Antiquities, two engraved sandstone reliefs of King Ptolemy V, the fifth ruler of the Ptolemaic dynasty who reigned from 204 to 181 BC, were found a couple of months ago at the temple's southeastern side. 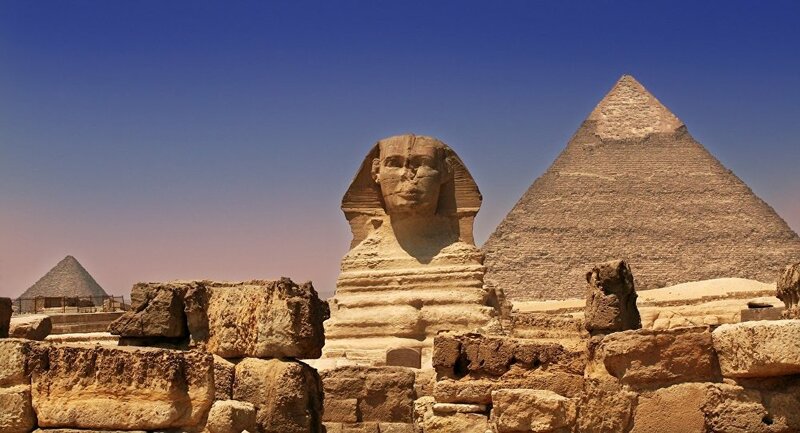 Egyptian officials hope that the new discovery increases tourism in the country. Following the Arab Spring uprising in 2011, Egypt's tourism industry suffered greatly. According to the United Nations World Tourism Organization, the country went from hosting 14 million tourism travelers in 2010 to 5.3 million in 2016. By the end of 2017, the numbers had somewhat increased, with roughly 8.2 million tourists arriving in the country that year. Last week, officials in Egypt opened the ancient tomb of Mehu, a pharaonic official who was a relative of the first king of the Sixth Dynasty, in a move to help boost tourism, Sputnik reported at the time. The tomb, which is estimated to be some 4,300 years old, is located in the Saqqara necropolis near Giza and was first discovered in 1940 by archaeologist Zaki Saad.